Blind rivet nut with inner M10 thread, ideal for use on stainless steel tube to create a solid screw fixing point. 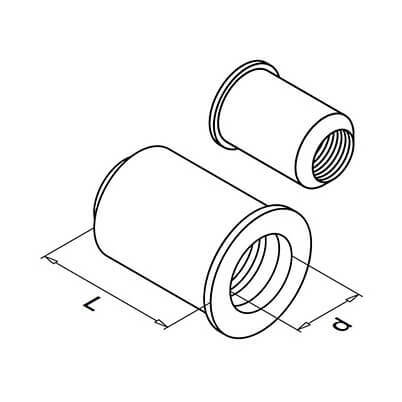 Blind rivet nut with M10 inner thread to provide a quick and easy solution for all types of applications where components are screwed together to form a solid anchor. Manufactured from 304 grade (interior) stainless steel (A2-AISI). 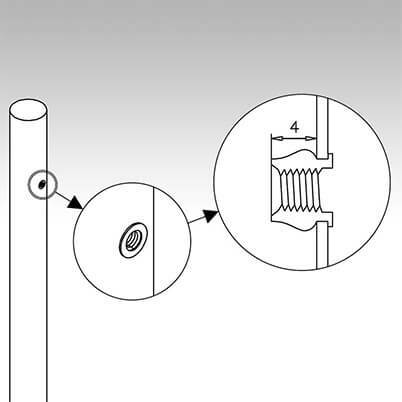 Installation is quick and easy with the use of a Rivet Nut Installation Tool. 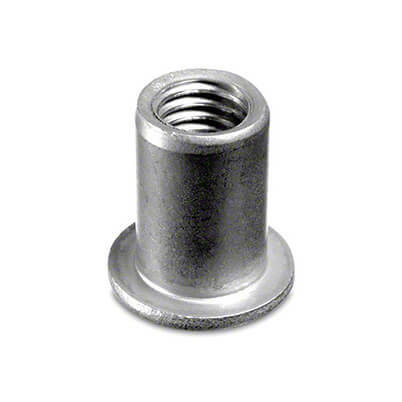 If installing blind rivet nuts into upright stainless steel posts - we recommend you place your base cover on first.